Two men planting potatoes on Mass. Agricultural College field in Amherst, date unknown. Courtesy Special Collections and University Archives of the W.E.B. Du Bois Library at UMass Amherst. 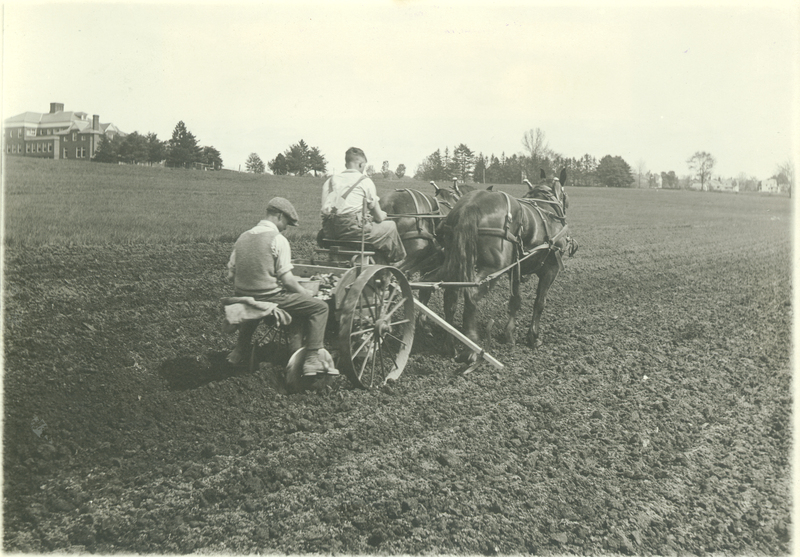 In this undated photograph, two men are planting potatoes from a horse-drawn wagon in a campus field. The rear of present-day Munson Hall (then called Paige Laboratory) is seen in the distance, making the location of this photograph near today’s Commonwealth Honors College.